Selling goods online is one of the most lucrative approaches for entrepreneurs looking to start a digital business. Nowadays, creating an eCommerce store is fairly easy. You can set up a WordPress-based store website yourself in a matter of hours using WooCommerce and hire a professional agency or several developers once your business gets some traction. Our team has been building WooCommerce extensions for years and we have collaborated with thousands of eCommerce store owners since. This guide is meant for starting entrepreneurs, small business owners and shop owners who have started recently and want to make the best out of their digital platform. 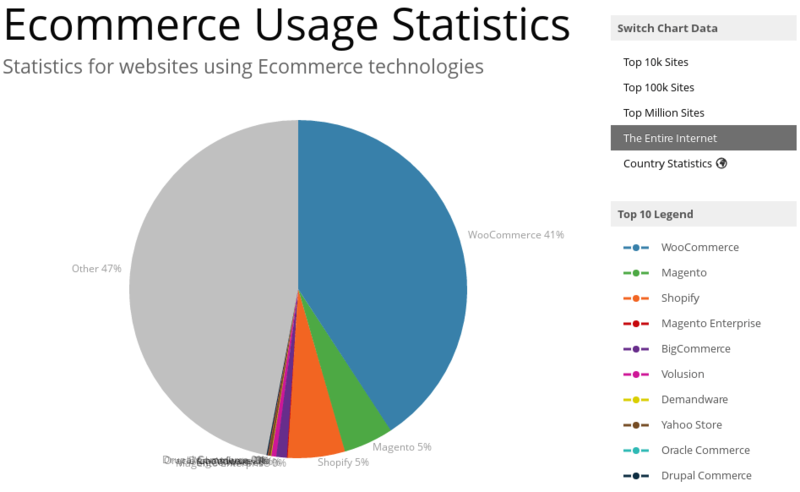 There are dozens of popular eCommerce platforms out there. Some are hosted and merely require a sign-up, charging you monthly or charging a fee for each transaction processed by your store. Others are cumbersome and complex – relying on technical teams profiling in building high-scale solutions even for starting businesses. WooCommerce is a WordPress plugin for eCommerce that is currently owned by Automattic – the company behind WordPress.com. The close relationship between the core platform and the eCommerce leader has led to a large number of service providers for WooCommerce-based businesses, plugin and theme shops, and hosting providers specializing in WooCommerce shops. Before you actually start selling products, you need to spend some time thinking about the marketing strategy that will help you drive traffic to your store. This goes beyond creating social media profiles and promoting your products on your Facebook page or Instagram account. While those are a great first step, your marketing strategy should include a variety of promotion methods. Building your email list is essential for eCommerce websites. It allows you to reach out to your customers every time you add a new product to your lineup as well as send them a timely reminder when you have a seasonal sale. Furthermore, you can also use email marketing to remind customers about the items they placed in their wishlist, offer them suggestions on products similar to what they’ve bought in the past, and to recover abandoned carts. In fact, 81% of shoppers who abandoned their carts, were more likely to return and complete the purchase after receiving a targeted email. There are various ways that you can gather email addresses from your customers. A few of the popular methods include using exit-intent popups that trigger when a customer is about to leave your page or a checkbox during the checkout process that lets them sign up for your email list as they are finishing their shopping. Content marketing can attract more attention to your store, especially if you include useful tips or advice related to your products on your blog. However, content marketing doesn’t have to rely on written blog posts. You could also try showcasing your product while it’s being used through video or even share your creation and production process. While being active on social media is useful for increasing the size of your audience and connecting with potential customers, social media advertising can do wonders for reaching an even larger number of people. 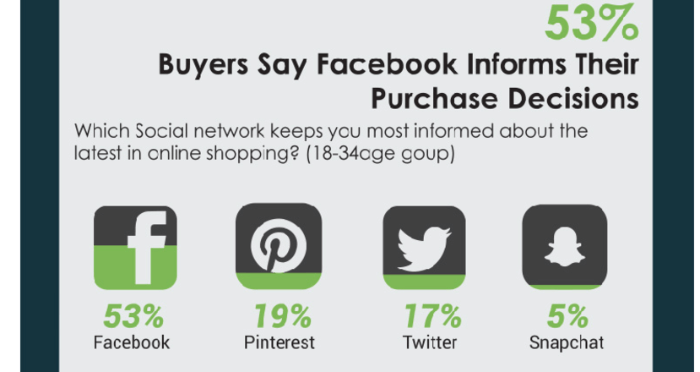 For example, Facebook has a 1.85 conversion rate[a][b] and 53% of online shoppers use it to make an informed purchase decision. Plenty of social media platforms allow you to set up promotional campaigns, which can help drive people to your website and introduce your products to potential new customers. Finally, you shouldn’t ignore the power of SEO and ensuring your product descriptions and your site as a whole is optimized for search engines. Try to come up with compelling product titles that would reflect what your ideal customer would be searching for and include keywords related to your product in the description. Keep in mind that you should never stuff the descriptions with keywords as this can actually hurt your ranking rather than improve it. Instead, include keywords naturally where they would usually occur in a sentence. 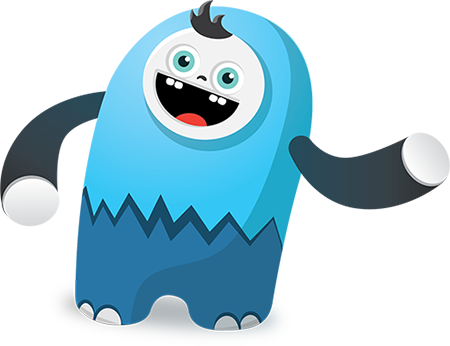 There are even several WordPress plugins that can help you optimize your content for search engines, such as Yoast SEO. Don’t forget to include a meaningful name and an ALT tag for your images as well as this will help them appear in search engines when people search for an image of a particular product. The easiest way to get started with WooCommerce is to install it from the plugin repository. To do that, login to your WordPress dashboard, go to Plugins > Add New and search for WooCommerce. Click on the Install button and then on Activate. You will have to go through the setup process which allows you to configure the basic store options. Install the necessary pages: It’s worth mentioning that this is the only recommended step to finish setting up WooCommerce. All the other steps can be skipped and configured later in the plugin settings options. This will install pages that are necessary for your store to function properly so go ahead and click on Continue. The last screen will let you know that your store is ready and that you can create your first product. Before doing so there are a few important considerations to keep in mind. While WooCommerce is supposed to work with any theme out of the box, you should know that there are plenty of WordPress themes designed to work specifically with the plugin. These themes have some extra features that come in handy for eCommerce websites such as the Quick View ability so your customers can see the product simply by clicking on the image, mega menus, product filtering options, and more. 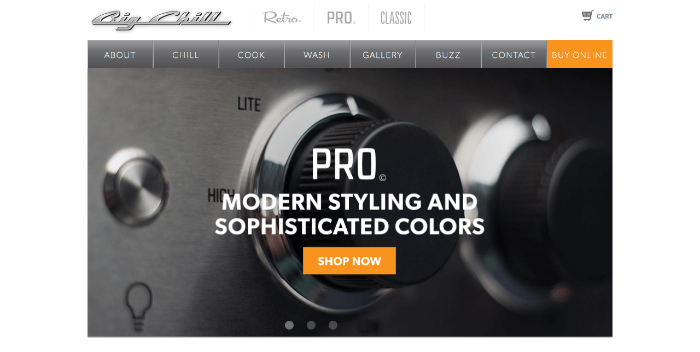 If your store’s pages appear a little wonky, it’s worth considering investing in a theme that has been optimized for WooCommerce. You should also consider creating product categories which will allow your customers to easily find similar products and give your store a nice hierarchy. Also consider product variations so you don’t have to create a separate product for each size or color. Rather, use WooCommerce’s native ability to add product variations. 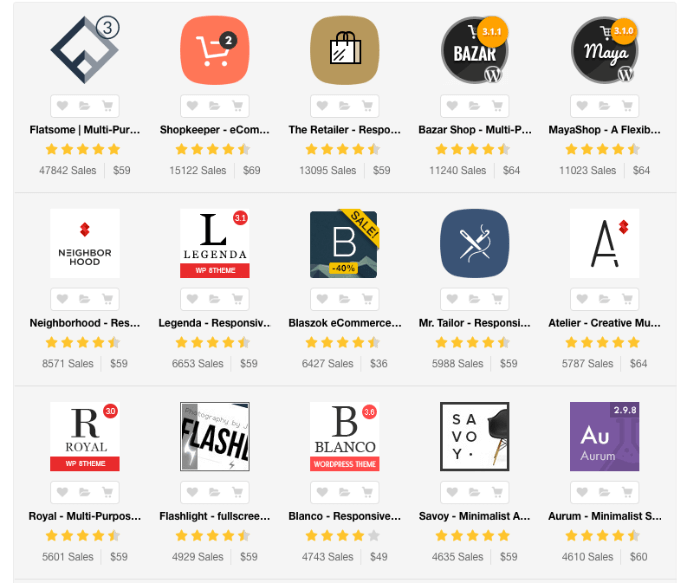 While WooCommerce offers a lot out of the box, there are plenty of add-ons, both free and paid that can help you take your store to the next level. Consider everything you may want to achieve with your store and different customer scenarios that might happen as you plan your store’s functionality. Some of the add-ons will help you improve your customer’s experience while others will save you time on daily tasks involved in running your store. You can take advantage of add-ons that add extra payment gateways or integrate with your accounting software so each sale is properly recorded. There are also add-ons that can help you integrate your store with your email marketing provider as well as those that will help you recover abandoned carts or set up a custom delivery date for their orders. 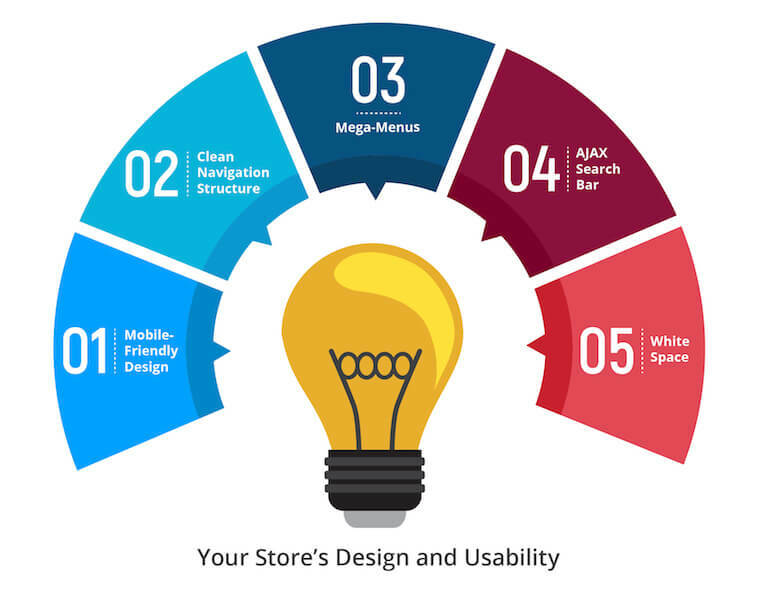 When it comes to your store, the design plays a crucial role. 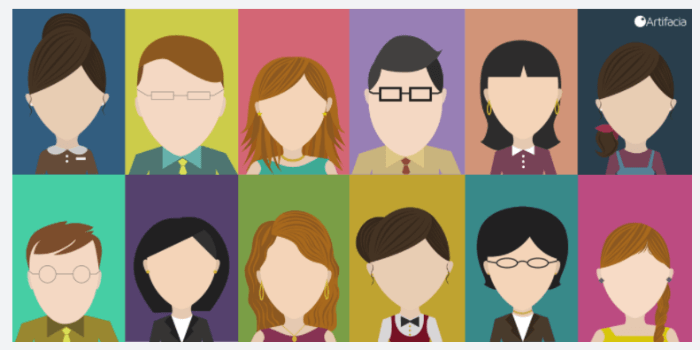 If done right, it can help convert more visitors into actual customers. But, if you ignore the important details, it can hurt your business in the long run, leading to abandoned carts and visitors moving on to buy from your competitors. Luckily, there are a few best practices that you can follow and implement to ensure your visitors have no problems with your site and have a pleasant user experience while browsing your products. In today’s day and age, one of the most important things to keep in mind is that mobile shopping is on the rise. A responsive website is only the first step toward ensuring your visitors go beyond your homepage. 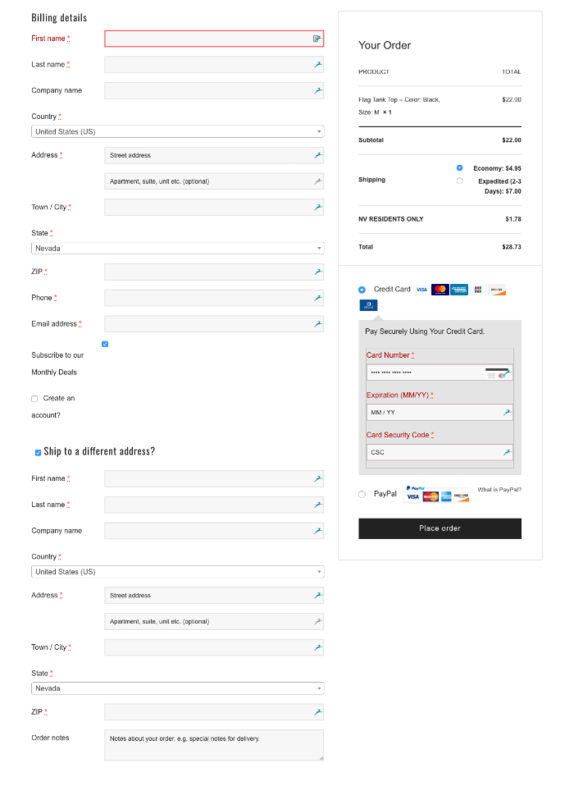 You also need to take a look at the smaller details such as form fields on your order and checkout pages as well as buttons. Form fields should trigger the correct keyboard on mobile devices, which means the numeric keyboard should trigger when entering a quantity or a zip code, or any other information that needs a number input; while a text keyboard should trigger on fields that require name, address or other text inputs. On a similar note, the buttons on your website should strike a happy medium between becoming so small it’s impossible to click them and being so big that they obstruct other elements on your pages. If you’re unsure of how your site behaves on a mobile device, you can use the Google Mobile Friendly Test to check if your site is mobile-friendly. Platforms like MobileTest.me even let you interact with your website as if though you’re visiting it on a mobile device. As a store owner, it’s natural to want to add links to as many products and categories as possible to your navigation menu. However, doing so can be detrimental to the user experience. In most cases, they will feel overwhelmed and possibly paralyzed by all the choices. Instead, opt for adding the most important pages such as About, Contact, Customer Account, Shopping Cart, and Store Policies to your main navigation menu and using a category based secondary menu in your sidebar or as a fly-out menu. This will help your visitors see the information in a clear and organized manner and help them navigate your site better. Speaking of a clear navigation structure, a great way to add some organization is to use a mega-menu. A mega-menu allows you to add a significant amount of links and often presents them as a drop-down which appears only when users hover over the first level of the menu. This is a great way to show everything your store offers but eliminates the initial overwhelm as users are only presented with additional links when they begin to interact with your site. Some of your users may already have a clear idea of what they want to buy and don’t want to waste time browsing through categories. Help them find the item they want quickly by adding an AJAX powered search bar that lets them see the results as they type. The search bar will help save their time and they will receive an instant gratification which can be a huge plus towards converting them into buyers. You can also take advantage of numerous WooCommerce themes that have a built-in filtering option, which allows visitors to filter products according to their wishes and allows them to immediately find the product that suits their needs. Lastly, when it comes to your store’s design make sure your chosen theme has plenty of white space around individual products on all your pages. Less is often better[c][d] when it comes to your homepage and category pages as you want each item to be clearly visible without making the pages feel cluttered. White space adds[e][f] another dimension of organization and makes the whole site appear more visually pleasing. It also allows your product images to shine and encourages users to click through to individual product page for more details. One of the most important tasks you have as a online store owner is to maximize your conversions. There are a number of factors that impact conversion rates, however, they can easily be avoided once you know what they are. Surprise costs are one of the biggest factors that has a negative effect on conversion rates. Finding out that there is a huge shipping cost, a hidden tax amount, or a handling fee involved with the purchase is often enough for most potential customers to go in search of a better deal. Avoid this by clearly outlining all the extra costs throughout the entire shopping process. Your product descriptions serve the purpose of informing your customers about the product features. They should outline the material it’s made of, the size, color, recommended maintenance, and other important details. Since customers cannot physically see or touch the item, they rely on the information you provide to make their purchase decision. Omitting those details doesn’t help them picture the product in their mind and makes them less inclined to buy it. Once a potential visitor lands on your site, they want to know if your product can help them solve their biggest problem or improve their life in some way. If they cannot see why or how they can benefit from your product, they will be harder to convert to customers. That’s why it’s imperative that you define your target audience and have an ideal customer avatar in mind when designing your site and writing your product titles and descriptions. Sometimes, your customers may not be ready to buy at the same time they are browsing your site. They could be just researching their options or comparing prices between several online retailers. In such situations, it’s beneficial to have a cart recovery system in place. It allows you to reach out to customers who placed items in your cart but never finished the checkout process. A well-timed reminder email paired with a discount can do wonders for your conversion rate because it encourages your customers to go back and finish the purchase process. If your website takes ages to load, chances are your customers will abandon it and go to your competitor. Consider compressing your images before uploading them to your site and using a caching plugin that will help your pages load faster. If you’re savvy enough, you can also move script files to the footer of your site to improve loading times. While credit cards are a widely accepted payment method, keep in mind that some customers may not feel comfortable sharing their credit card information online. Avoid losing those customers by implementing alternative payment methods such as Google Wallet, Apple Pay, or PayPal. Another important aspect of your website is the uptime and speed. The uptime of your site depends on your hosting company so choosing the right hosting plan with a reliable company is a great way to ensure your site won’t go down during crucial moments like a holiday sale. There are a variety of hosting plans available and each of them comes with its own set of pros and cons. One of the most affordable options are shared hosting plans. They usually start as low as $5/month and they can be even cheaper if you sign up for a longer period of time. On a shared hosted plan, your site shares a server with thousands of other websites. While this allows for prices to be low, it’s also the biggest disadvantage because the performance of your site depends on all other sites who share that server. In essence, if one of those sites goes down due to a large influx of traffic, your site could go down too. That said, shared hosting plans are a great choice for complete beginners who have a limited budget. Cloud hosting plans use a number of individual servers that work as one large server. The biggest advantage is that this plan can easily scale as the hosting needs of your site get bigger. You can easily add more bandwidth or available disk space. Most of the cloud hosting plans use a pay-what-you-use pricing structure which gives you more control over your hosting budget. Virtual private servers use one physical server that acts like several separate servers. By using this plan, each instance of the server gets its own dedicated amount of the total resources, which basically means your website isn’t at risk of going down simply because another site is seeing a huge spike in traffic. This option is a good choice for growing businesses that want more control over their server while still keeping their budget relatively affordable. Website owners who opt for a dedicated server will get an entire server to themselves as well as complete control over which applications can be installed and better security features. However, dedicated plans are also the most expensive option and as such are best suited for large websites that have thousands of visitors on a daily basis. The downside is that you need to be very familiar with hosting technology or have a person on your team that can handle server management for you. 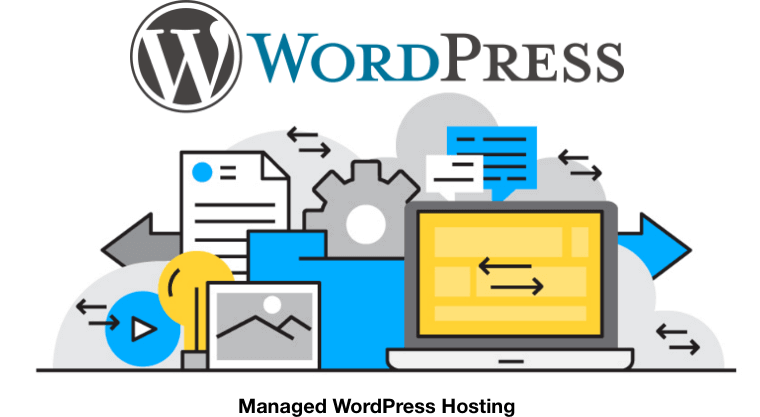 Finally, many hosting companies are now offering Managed WordPress hosting plans which were designed to handle WordPress sites exclusively. They offer features specific to WordPress such as regular backups, complete maintenance, better security, updates, and more. It’s a popular and recommended option for those who don’t have the technical knowledge or time needed to maintain and stay on top of WordPress updates. When choosing a hosting plan, keep in mind that WordPress does have some special considerations. Given the sheer amount of plugins available, it’s all too easy to install too many of them, which can slow down your website on cheaper hosting plans. Likewise, improperly configured plugins can be another reason why your website suddenly loads slower than usual. This is especially true when it comes to caching plugins that can be too technical for the majority of WordPress users. Finally, keep in mind that WordPress requires regular updates to keep your site up to date and secure. For those reasons, it pays to invest a little more in a better and more expensive hosting plan, which allows you to upgrade as your business grows and needs more features. Online security and privacy is more important than ever, considering the amount of DDOS attacks and phishing attempts that plague the online world. Providing your customers with a safe shopping environment greatly increases your chances of success. When they know their sensitive financial and private information is safe, they are more likely to return and buy from your store again. Here are a few ways that you can ensure your website is secure and your customers’ information is protected. One of the first things you should take care of is obtaining and installing an SSL certificate for your website. An SSL certificate allows all the transactions processed on your website to be encrypted and sent over a secure connection. 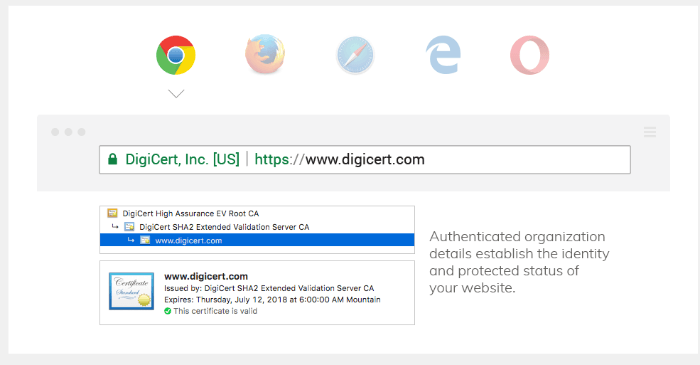 Your visitors will be able to tell you have an SSL certificate installed by the green icon in your browser’s address bar. In some cases, online businesses saw a 30% increase in their conversion rate after installing an SSL certificate. 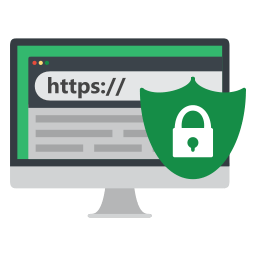 There are three types of SSL certificates: Domain Validated certificates (DV), Organization Validated certificate (OV) and Extended Validation certificates (EV). The Domain Validated Certificate is the cheapest and the most basic SSL certificate. They are validated against a domain registry, however they are not recommended for websites that need to process transactions securely as visitors cannot validate, via the certificate, if the business on the site is legitimate. The Organization Validated Certificate is a step up where organizations are strictly authenticated by real agents against governmental business registry databases. They contain legitimate business information and are usually required on a commercial or public facing websites. Finally, the Extended Validation certificates offer the maximum level of security and businesses that apply for it undergo a very strict vetting process. They are recognized by the Green Bar along with a Symantec/Norton Seal of Trust. Considering it is nearly impossible to impersonate an EV enables site, leading global businesses often opt for this type of certificate. If you have a large volume of sales, another way to signal trust is by signing up for a dedicated merchant account. While the initial cost of upkeep may be slightly higher, a dedicated merchant account allows you to process credit card payments on your site without the need to use a third-party payment processor such as PayPal or Stripe. In essence, when a customer makes a purchase, the money will be held for a few days in your merchant account before being deposited into your actual bank account. The benefits of a merchant account are lower processing fees and you can move the money to your bank account much faster than payment gateways. Another reason why you should consider a merchant account is the fact that all business owners applying for one need to prove their website and business is PCI-compliant which means they meet the necessary security standards and making sure their customers’ information is protected. Out of the box, WooCommerce allows you to accept payments via PayPal, direct bank transfers, cash on delivery, and check payments. You can set up your payment options during the initial WooCommerce setup, but you can also add additional ones after. The most popular option is PayPal and many store owners choose it by default. It allows your customers to use their PayPal balance or their credit card if they don’t have a PayPal account. For direct bank transfers, you’ll have to add your bank account information and enable it in your WooCommerce settings. However, you’re not limited to those options alone. 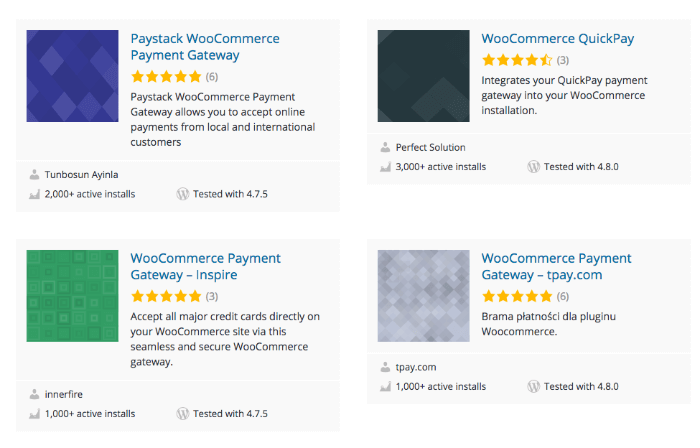 WooCommerce also offers plenty of of extensions that allow you to integrate other payment gateways such as Stripe; PayPal powered by Braintree, which is great for recurring payments; 2Checkout; and many more. Some of them are free and some of them are paid, but well-worth the investment if you want to be flexible and allow your customers to have as many payment options as possible. You can also find third-party plugins in the official repository that add various payment gateway integrations such as QuickPay, Vogue, and others. Your product descriptions shouldn’t simply describe the product in terms of size, color, and other features. They should be compelling enough to help you seal the deal. The secret to writing compelling product descriptions is to intrigue your visitors, convince them your product is worth every penny, and close the sale. Here are a few key tips to keep in mind when you’re ready to write a description for your product. Just as your product descriptions, your images need to help you entice the visitors, create the desire, and make them more inclined to buy the product. They help the story you’ve created with your description and make it possible for visitors to imagine what the product would look while they’re using. Avoid using blurry photos that are also too small. 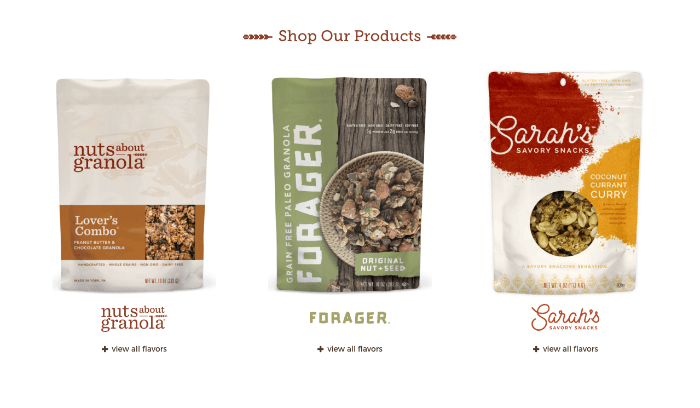 Ideally, your product images should be well-lit and have a neutral background so your product gets the spotlight it deserves. Try to take the photo of the product from various angles and create a product gallery in WooCommerce so your visitors can see as much of a product as possible. Since they can’t physically examine it, this will help them paint a more vivid image in their mind. When it comes to the correct format, try to save your photos as a high-quality JPEG image. This format is perfect for photos that have plenty of colors and don’t require a transparent background. The JPEG format also produces images that are smaller in size which can help your page load times. You can further reduce the image size by using a website like TinyJPG.com or installing a plugin like Smush or EWWW Image Optimizer. Using the website means you don’t have to install additional plugins but can be a bit cumbersome as you can only upload 20 photos at a time. A plugin, on the other hand, allows you to reduce the image size as soon you upload it to your site. The process happens behind the scenes so you can set it and forget it. As you’re setting up your store, you shouldn’t ignore search engine optimization and hope your target audience will somehow find you site. According to data from US Commerce Department, online retail sales reached $394.86 billion last year, which is a 15.6% increase compared to 2015. Competition is fierce so it’s more important than ever to invest in your SEO strategy. Conducting keyword research is the first step towards making sure your store can be found online. Think about the products you’re selling and use those terms to label your products on your website in product descriptions, titles, and potential blog posts. You can start by using a tool like Google Keyword Planner. This will give you an idea of how popular a keyword is in terms of search and competition. You can also use their Ad Group Ideas tab to get different variations and ideas for the original keyword which can be used throughout your site. 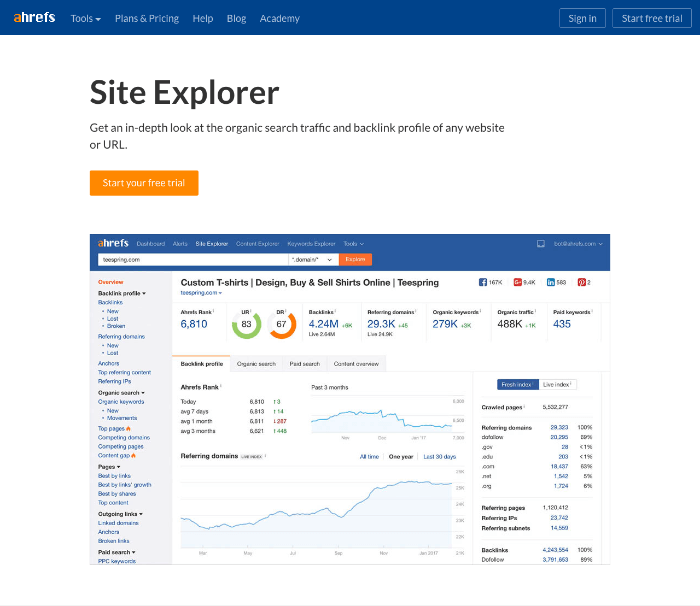 Another idea is to use a tool like Ahrefs Site Explorer and compare similar sites like blogs in your niche to see which keywords they rank for. While bloggers aren’t your direct competitors in terms of sales, you are competing with them for search engine results. In most cases, they will often use keywords your direct competitors aren’t ranking for so a little research here can reveal a whole new list of keywords you can use in your content. Rich snippets are bits of HTML code that you can add to your site to provide extra information to people who search for a particular term. They signal to the search engines what visitors can expect from your site before they even visit it. Even though they aren’t currently a part of the ranking algorithm, they might be in the future. Make sure your site is ready for it by following this easy guide to enabling rich snippets on your site. According to research, a one-second delay in your page load times can decrease your conversion rate by 7%. Not only, that, page speed is now one of the ranking factors when it comes to SEO, meaning faster websites rank better in search engines. 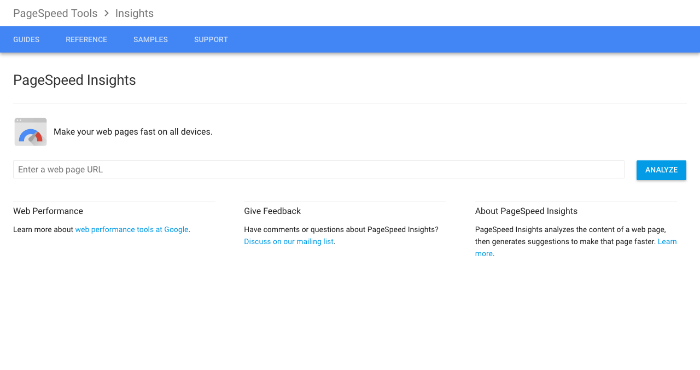 Check your page loading times with tools like Pingdom Speed Test or Google PageSpeed Insights which will show you what needs to be fixed to improve your result. If your host allows it, you can also install a caching plugin and sign up for Content Delivery Network which will then load images and script files from their servers instead of yours. When it comes to image optimization, use a descriptive title for your image titles. Rather than naming them product123.jpg, save your images with the actual product name like CanonEOS5DSLRCamera.jpg. Take a few extra minutes to fill out the ALT tag for each and every image as that descriptive text will be used in case the visitors cannot view your images. While meta tags won’t influence your rankings directly, they can often encourage visitors to click through to your site. The title explains what your store is all about and the optimal length is around 60-70 characters. Meta descriptions are the descriptions that show beneath the results in search engine result pages and are 160 characters long. They summarize what they page is about. Meta keywords are the search terms that your visitors should use to land on your site. Use a plugin like Yoast SEO to help you fill out those fields for all the pages, products, and blog posts on your site. Before you officially launch your site, take some time to go through the purchase and checkout process. Numerous statistics show that the more complicated buying process is, the higher the chances of visitors abandoning their carts. The checkout process should be as simple and as intuitive as possible. Instead of using multiple pages, opt for a single page checkout with a simple form that asks only for necessary information. In most cases, you don’t need to ask them to enter their birthday or SSN. Unless absolutely necessary, you can skip the phone number as well. Alternatively, consider implementing a progress bar to show how many steps are left during the checkout. You can also offer guest checkout, without requiring users to register for an account and verify it first. According to a study by User Interface Engineering, one site had a 45% increase in customer purchases after replacing the “Register” button with a simple “Continue” button. As a business owner, it’s only natural that you want your customers to return and make another purchase. Establishing trust goes a long way towards building brand loyalty which increases the chances of buyers coming back as well as recommending your site to their inner circle. One of the easiest ways to build trust is to display a money-back guarantee on your site. This helps customers feel relaxed about their purchase since they know in advance they can get their purchase refunded in case something is wrong with the product. A study by GetApp shows that a third of the customers consider reviews the most important feature of an e-commerce website. Seeing reviews from others can signal your product is indeed worth every penny and makes new visitors more inclined to buy from you. Another way to increase trust in your customers is to add badges like VeriSign, TrustE or BBB. The numbers show that 48% of shoppers look for these badges while shopping online and according to a study by BlueFountain, they saw a 42% increase in conversion after adding a VeriSign seal to their form. An e-commerce store is a wonderful way to expand your target audience. Instead of selling locally in your city, you can reach other cities or counties in your state or even different stats in your country. But, you can also offer your goods to other countries and reach fast-growing markets. If you’re consider going global with your store, it’s beneficial to turn it into a multilingual store and give visitors a chance to read everything in their language. A multilingual store puts you ahead of the competition and helps you even more to build trust with your customers. Luckily, there are a couple of ways that you can offer your store in multiple languages with WordPress and WooCommerce. Since 2010, WordPress allows you run several WordPress sites using the same WordPress installation. The sites share the same themes and plugins but the real benefit is they can have different language settings. This is an easy way to create several versions of your store, each with its own language. Another solution is to use a plugin like WPML or Polylang. This will allow for the content itself to become “translatable.” The plugin will handle different translations for your pages, products, and posts which makes it easy for your visitors to switch from one language to the other. Once your website is live and you have sales rolling in, the one thing you have to keep working on is improving your site and making sure your customers have a constant smooth experience. One way to do this is with A/B testing. In essence, A/B testing is comparing different versions of your pages, titles, or anything else you’d like to test for conversions and seeing which version performs better. A portion of your visitors will see version A and the other portion of your visitors will see the version B of your page or a call to action. It’s a good way to find the best way to promote and market your business and serve your visitors a page that is more likely to entice them to buy. For example, when testing the call to action, you could test the color of your button, the placement on the page, or the copy used on the button. It’s important to mention that you shouldn’t try and test all the things at once, because you won’t be able to pinpoint the exact result that led to one variation performing better. Rather, conduct your tests in such a way that you’re testing different headlines for a certain amount of time and then comparing the call to action. Remember to leave the tests running for at least a couple of weeks so you can get more accurate results. There are a number of tools that can help you perform A/B tests. You can use a plugin like Nelio A/B Testing plugin which supports WooCommerce and you can test pages, posts, headlines, themes, small CSS tweaks, custom posts, widgets, and menus. It also includes both heat mapping and click mapping tools to help you understand what your visitors do and don’t do when they land on your website. There are also more specific plugins like WordPress Calls to Action, Title Experiments Free, and Optimizely which can help you analyze more specific areas on your website. Starting your online store has never been easier with tools like WordPress and WooCommerce. Use our guide to help you get started on the right foot and learn what all is involved in running a successful online store. Happy selling!